The Bovans Brown is a highly versatile and robust bird. Combined traits include high peak production, great laying persistency, and a flat egg weight curve, resulting in top quality dark brown eggs. The Bovans Brown has excellent feed intake capacity and robustness so that it fully expresses genetic potential in multi-age and free range environments. This is an attractive looking bird that maintains great feather cover. 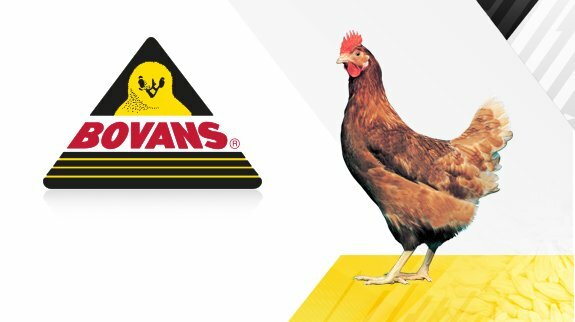 The Bovans Brown is an ideal bird for the commercial egg producer looking for overall solid performance.